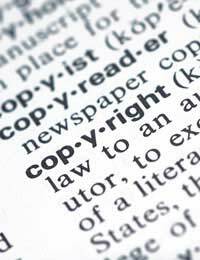 Home > Marketing > What is an Intellectual Property? How best to describe an Intellectual Property? If you have an idea that you think may be good enough to manufacture or sell to others in order to make a profit then it is best that you make every attempt you can to secure the rights on such an idea. In essence an Intellectual Property is an idea that has been conceived, documented and protected using copyright, design, patent and trademark as a means of securing its content. Every day thousands of people in the United Kingdom have ideas which they think may make them money or indeed may go on to provide the basis for a business model. But in order to ensure that this idea, invention, concept or design is protected from theft, copying or manipulation they should patent or at least copyright the idea. One of the most important elements about owning any Intellectual Property is being able to prove that the idea is yours. Often ideas can be stolen and subtle changes made in order for another individual or company to patent the idea as their own. An example of this is Alexander Graham Bell who is credited with having invented the telephone although it all actuality it was Elisha Gray who invented the telephone but Bell managed to get patent registered first. You will find throughout history further examples of individuals being beaten to the finishing line because they did not take the precautions to safeguard their ideas or inventions. In order to prove an idea - or Intellectual Property - is yours it is best to keep detailed notes and logs, dating each one and also making copies of all your work so that it can be sealed and stored in a safe place. This is a useful exercise especially if you are required to provide proof later on that you thought of an idea before someone else. If you have an idea for an invention and you have proved beyond any reasonable doubt that no other invention exists then you should register your idea with the UK Patent Office or at least have your ideas copyrighted under the Copyrights, Designs and Patents Act 1988. It is important to note that as soon as your idea or invention becomes public knowledge it is ripe for unauthorised copying so therefore patenting it before you go public is the best move around. A patent can be enforced for a maximum of twenty years after which time it must be renewed through the UK Patent Office or it will lapse. Once a patent has elapsed then anyone is free to rework your original designs or indeed repatent your idea in their name. Generally you can expect to pay between £200 and £1000 for a patent depending on the intricacy of the invention and how much work is involved for the Patent Agent. It is the job of the Patent Agent to produce the patent but he or she may be required to translate this into numerous languages - depending on where you wish your invention or idea to be used - and these costs are also incurred in other countries as well if you are applying for separate patents. Separate patents may apply for example if you are planning to manufacture an electrical device which may work differently in other countries given changes in electrical current for example. For more information on patents, copyrights and how to safeguard your Intellectual Property you should visit the website of the UK Patent Office or contact the patents department of the British Library. Marketing Checklist: Will it Sell?